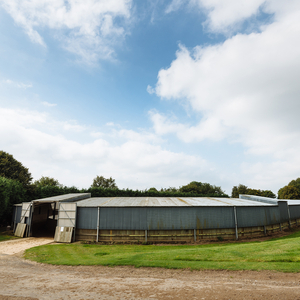 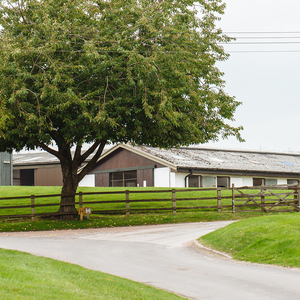 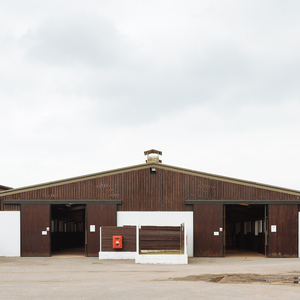 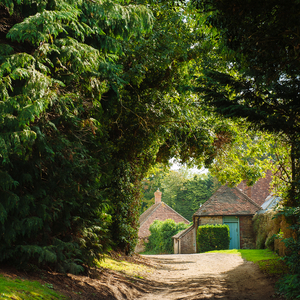 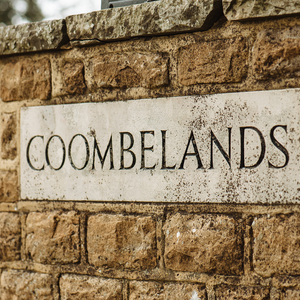 Racehorses are stabled in loose boxes in American Barns with experienced staff managing the site at all times. 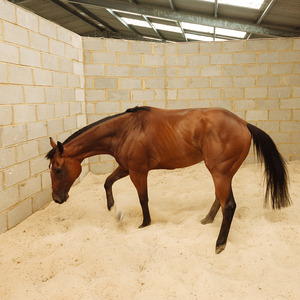 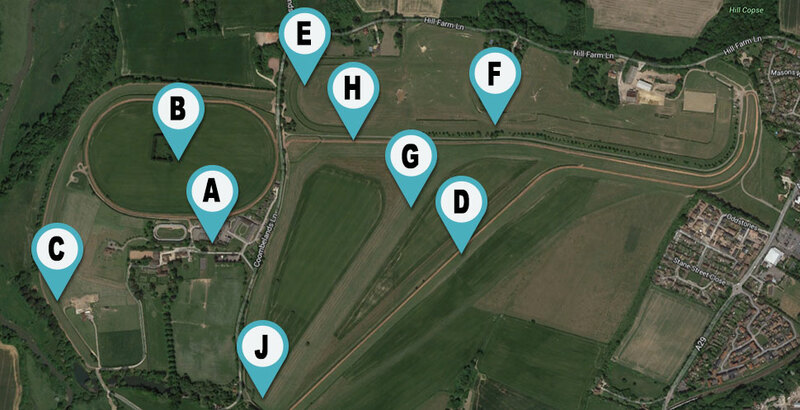 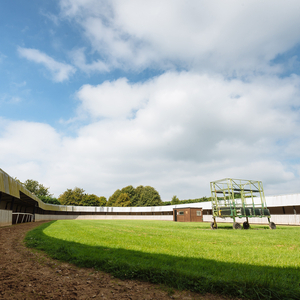 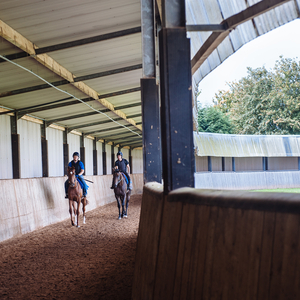 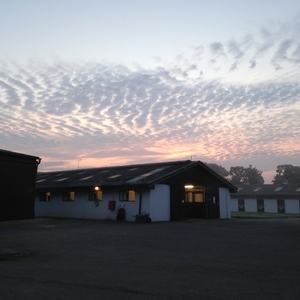 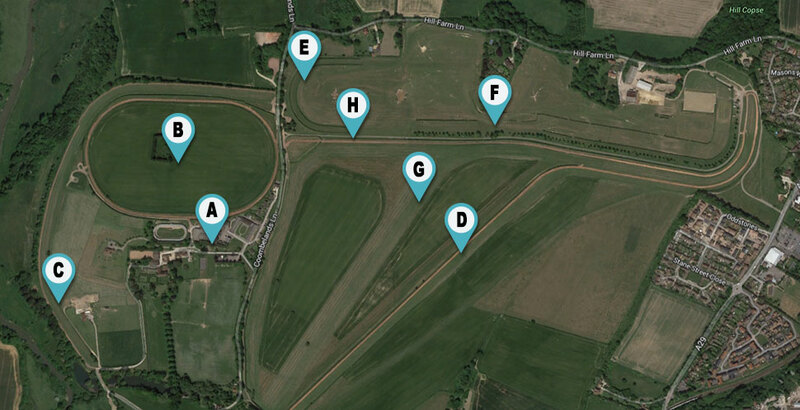 The Indoor Canter Way is an oval one furlong covered sand school, providing all weather warm-ups for racehorses. 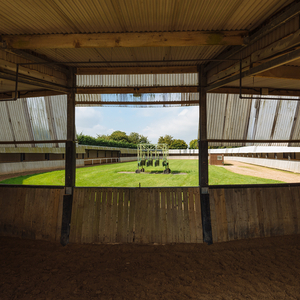 It includes one set of starting stalls to teach horses how to walk through and stand before using the outdoor starting stalls. 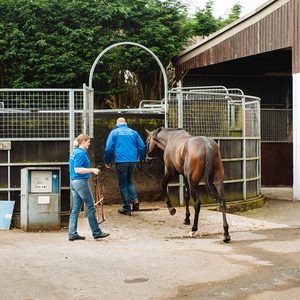 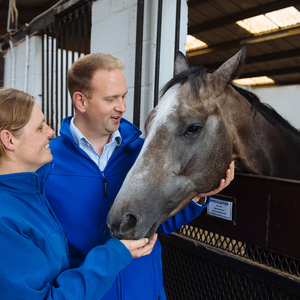 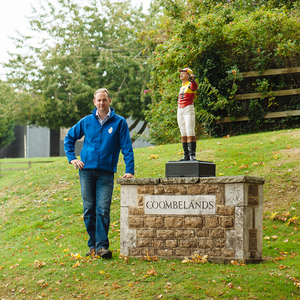 The safe and confined environment give horses confidence for this important step in a racehorse Life. 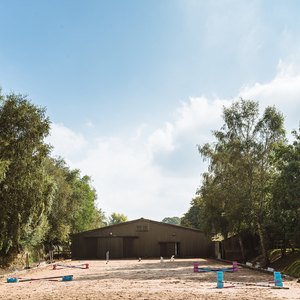 The Outdoor Sand School is an invaluable facility for lunging horses as well as long-reining. 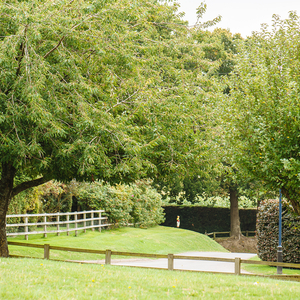 The fibresand makes the Outdoor School useable all year round. 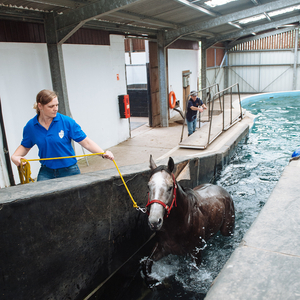 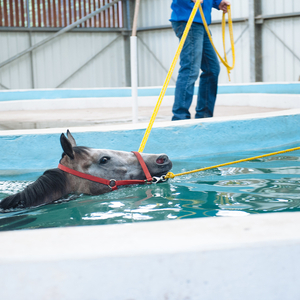 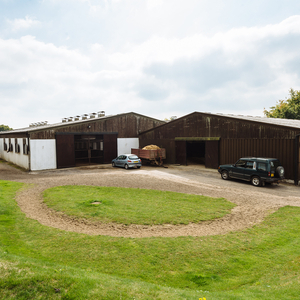 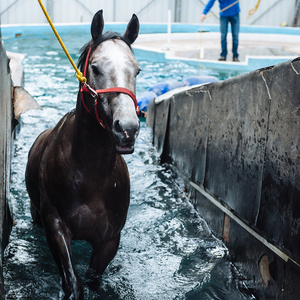 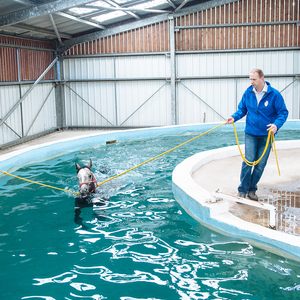 The equine Swimming Pool is essential, both for exercising racehorses that are recovering from injury and also for freshening horses after a busy campaign. 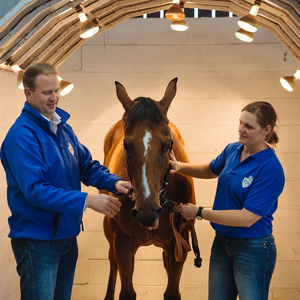 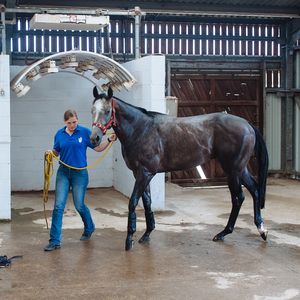 The solarium allows racehorses to dry comfortably and keep their muscles warm after swimming. 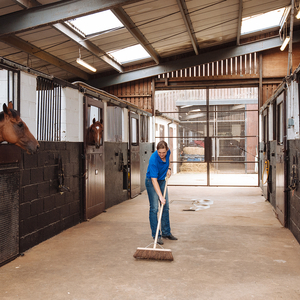 The 2 Claydon horsewalkers are a proven asset to our stable. 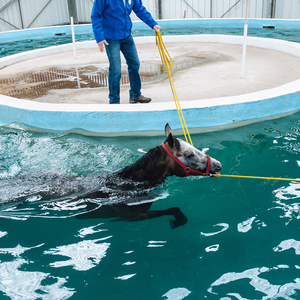 They are safe an easy-to-use tools where horses can be warmed up before work or cool down afterwards. 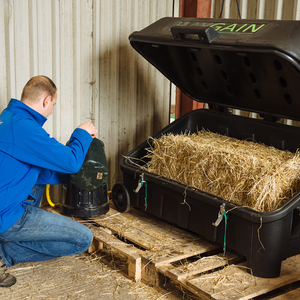 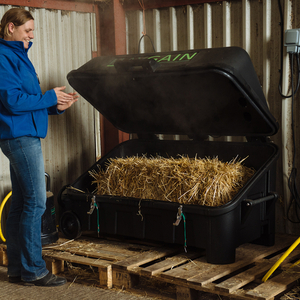 The haysteamer produce palatable and dust-free forage helping maintain a healthy respiratory system to enhance performance.